The City Centre is the place to come to learn all about the Square Mile – its illustrious past in terms of the unsurpassed heritage of its built environment; its present offer as a world class financial and business centre, and collection of cultural institutions; and its exciting future as a vibrant, forward-looking place. The centre is available for businesses and other users, with all of the above as a powerful backdrop and point of discussion. The centre features a changing display of images, text and graphical material which documents the make-up of the City – its cultural life; the business community; its places and spaces; the way it is run today and its plans for the future. 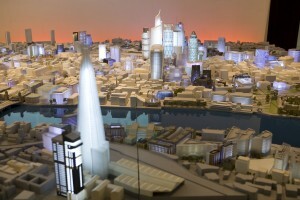 Alongside that is a 1:500 interactive model of the City’s physical fabric. With your Cheapside Privilege Card you can now receive 20% off all hire rates at the City Centre. Simply quote ‘Cheapside Privilege Card’ when making your booking. Learn to cook delicious recipes from around the world with the professionals from L’atelier des Chefs. Take a seat at their dining table and enjoy your meal with your fellow cooks. Join any of their cooking classes ranging from 30 minutes to 4 hours and receive 20% discount. Experience exercise at 3000m without leaving Cheapside. For the cost of one session (£39), The Altitude Centre is offering you two sessions to learn the science behind altitude training, safe practices at altitude and discussion of your goals with a Performance Specialist to ensure the greatest gains. During your visits, you’ll be able to take part in a class or solo session on the bike, treadmill or rower, experiencing the benefits of altitude in the heart of the City of London. Due to the high-intensity interval training format and the high-altitude environment, classes at The Altitude Centre are just 30 minutes long, with changing and shower facilities on site. Simulated altitude training enhances athletic performance, improves recovery, prepares you for trips to high altitude and supports general health, weight loss and wellbeing. Having worked with some of the world’s leading cyclists, triathletes and distance runners, The Altitude Centre can help you achieve your goal, be it at altitude or at sea level. *This offer is valid for new customers only. This offer is not to be used in conjunction with any other offer and you should mention the Cheapside privilege card when making your booking over the phone or by email. Open Monday to Friday 7am-9pm. Following their recent re-branding, Fitness First St Paul’s raises the bar when it comes to facilities, service and overall gym experience. Whatever your goal is, they are always there to support you achieve your fitness goals. Get started today! Fitness First are offering privilege card holders 50% off their Body First Start-up Package which includes a PT session. To redeem the offer get in touch with the team at Fitness First St Pauls and mention ‘Cheapside Privilege Card’. For further details visit their website or view the class timetables. Address: 1White Hart Street , Paternoster Square, London, EC4M 7DW.